"A different and innovative alternative to unlocking your computer." 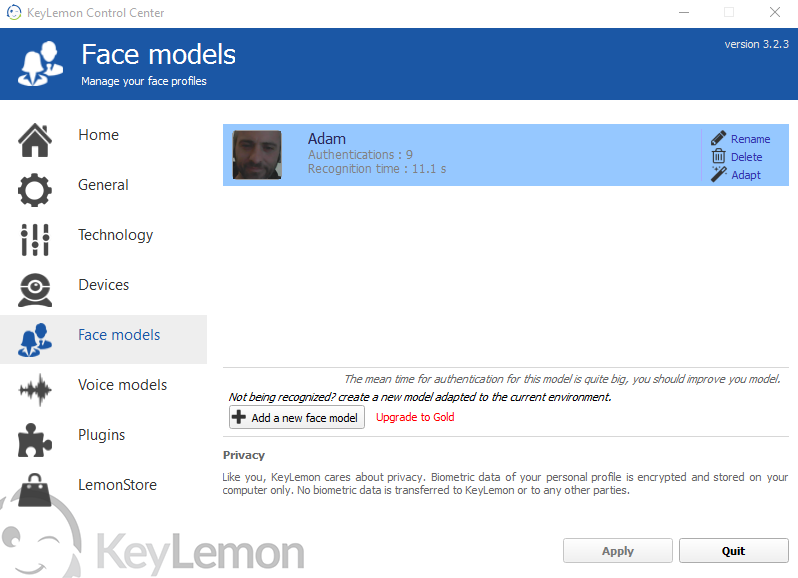 KeyLemon is free facial recognition software so rather than typing your password in to windows you can log in with your webcam which is apparently safer and more secure. 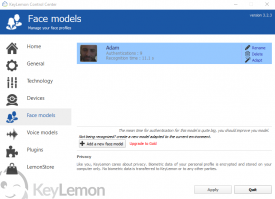 After downloading KeyLemon you will never have to type your Windows password in again, it takes a few seconds to store your face and then you only need to use it to unlock your computer. But how secure is it? 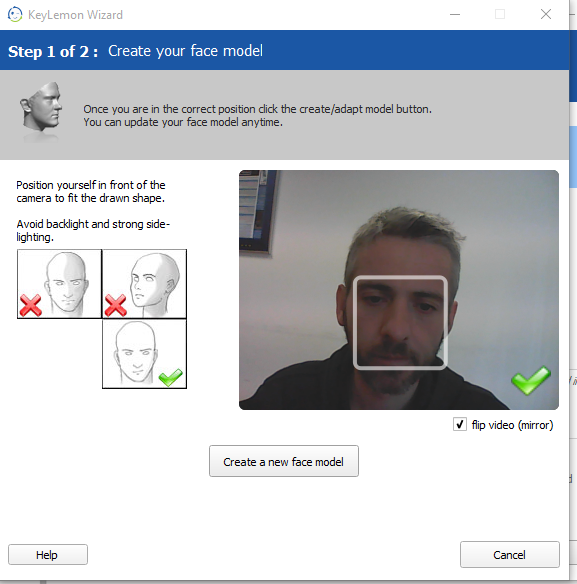 A couple of my colleagues tried and it did not unlock for them but it recognizes my face so fast that I was a little preoccupied whether it would just unlock upon seeing a human face but our tests showed that this was not the case, I tried making silly faces and it also did not unlock then, only when I showed my true face. As far as our tests went it seems very secure and to work only on the face it has captured, it’s a pretty cool feature to have on your computer but in regards to saving time it is probably a matter of very few seconds that it saves you rather than typing in your password and whether it is more secure than typed password remains to be seen but it’s a nice feature to have and the novelty of using your face to unlock your computer is pretty cool. It is free to download so you can try it out and see whether you think it is a better method of keeping your computer secure.